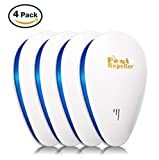 What can relieve blister beetle bite? Throughout much of the United States and elsewhere, blister beetles are a common insect seen outdoors in the summer. These beetles are gregarious, meaning they like to hang out together in large groups, and their flight capability means that they can travel large distances quite easily. 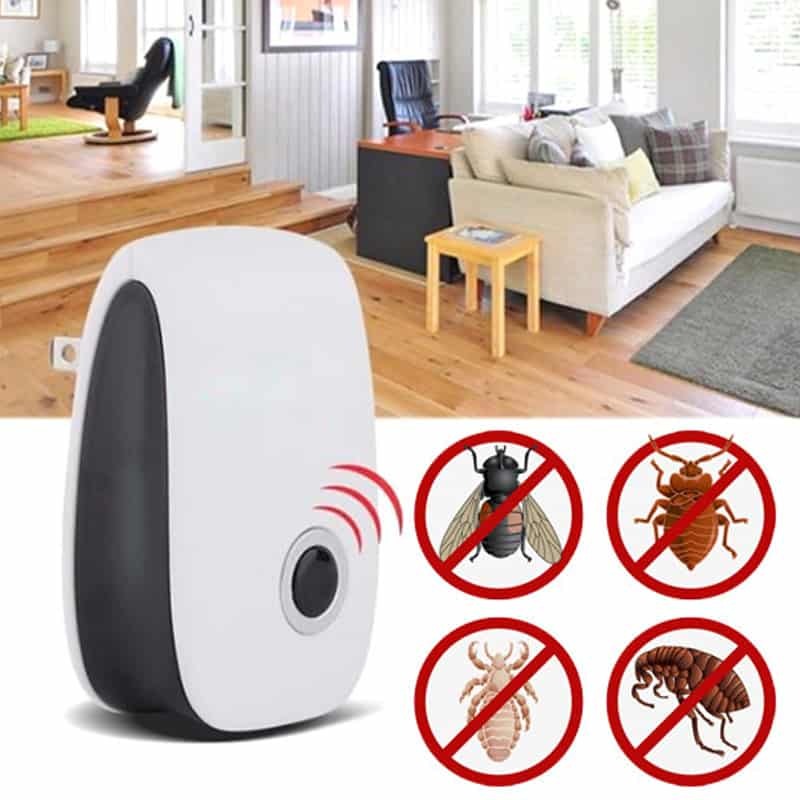 Also, like many bugs, they are attracted to light, and this often brings them into conflict with humans who sit out at night in lighted areas. All too often, this results in people needing blister beetle bite treatment. If there wasn’t more to the blister beetle than meets the eye, this article wouldn’t exist. After all, there are hundreds of different bugs that appear in the summer and share the sunshine with us. But the blister beetle is different. The blister beetle has a secret. 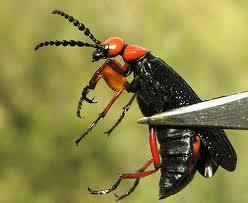 The blister beetle, despite its small size, can actually hurt people. In this article, we will discuss what to do if this happens to you. But first, we need to clear up a common misconception about blister beetles. People are often worried that these bugs are going to bite them, but that’s actually untrue. Blister beetles don’t bite people. Their jaws are not big or powerful enough to harm a human, not even a child. 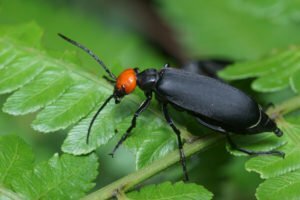 So why are people afraid of blister beetle bites? It’s because the blister beetle has a more elaborate defense than a mere bite. You see, the blister beetle, when crushed or handled roughly, secretes a substance called cantharidin. This is a powerful poison that causes blisters on exposed skin a few hours after exposure. It’s this nasty habit that gives the blister beetle its name, and its reputation. And this is usually what people mean when they talk about blister beetle ‘bites’. 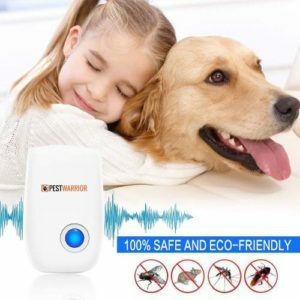 They say that prevention is better than cure, and when it comes to the nasty chemical ‘bite’ of the blister beetle, it’s hard to disagree. Who wants to be burned by an insect’s chemicals if they can possibly avoid it? So the easiest way to treat blister beetle ‘bites’ may be to avoid getting them in the first place. Blister beetles are not aggressive towards humans. They only release their chemical defense when crushed or badly handled. So if you can avoid the beetles themselves, you don’t need to worry about the burn of their toxic secretions. Of course, since the bugs can fly, this is easier said than done. But you can minimize the risk by familiarizing yourself with the way these bugs look. Before you automatically sway at a bug that lands on your arm or neck, check first to make sure it’s not a blister beetle that you’re raising your hand to, or you may live to regret it. The same applies when you’re working in the garden. Take special care in weedy areas. Grasshoppers love to lay their eggs in overgrown patches, and blister beetles, in turn, love to prey on grasshopper eggs. When weeding during the summer, it is strongly recommended that you wear a good pair of gardening gloves to protect your hands at all times. Adult blister beetles feed on a wide variety of different plants, so if you see a lot of bugs on your plants, check to see if they might be blister beetles before you mess with them. If they are, and you need to remove them from your plants as soon as possible before they strip the leaves bare, wear gloves. A popular method of removing large numbers of blister beetles from a plant quickly is to place a dish of soapy water under the plant and shake it vigorously. 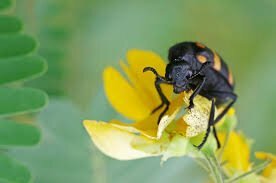 The blister beetles will fall from the plant into the water and drown there, and you won’t have to touch them yourself. If you end up with a lot of dead blister beetles on your hands, be careful how you dispose of them. The chemical cantharidin remains active in the bug’s bodies long after they are dead, and can be poisonous in high concentrations to any animal that tries to eat them. If possible, the best way to dispose of a large number of dead blister beetles is in a small brush fire that will consume their bodies completely, rendering them harmless. So let’s imagine the worst has happened. You’ve touched a blister beetle, and it has gotten its special sauce on you. Maybe it was on a door handle that you unknowingly reached for and squeezed. Maybe it was on a piece of garden equipment you tried to use. Maybe it was eating one of the plants in your garden, and you tried to remove it. It doesn’t matter how it happened. What you need to know is what to do next. The first thing you should do is wash the part of your skin that came into contact with the beetle. If you live within the blister beetle’s range, it would be a good idea to familiarize yourself with how this creature looks. That way, you’ll know right away if it was, in fact, the blister beetle that touched you and got its poison onto your skin. If you wait until you start to feel a burning sensation on your skin, you’ve wasted valuable time that you could have spent reducing the amount of poison on your skin. Wash the affected area thoroughly with soap and water. 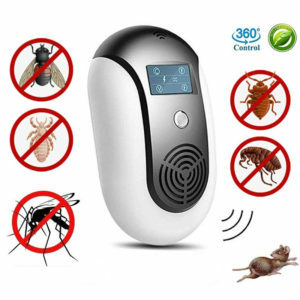 This will work to remove the beetle’s cantharidin, minimizing the harm it can do to you. Make sure you spend at least fifteen minutes washing your skin completely to remove as much of the toxin as you can. If you aren’t able to wash immediately after contact with the beetle, the cantharidin may have time to be absorbed into your skin. This is when the blisters start to form. These can be very painful, but home treatment is usually enough to get them under control. 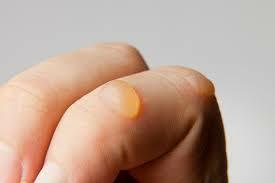 The forming of the blister is usually accompanied by a burning sensation. This can be alleviated by cooling ointment or cream, such as aloe vera gel or something similar. Depending on how your skin reacts to the blister beetle ‘bite’, you may also need to use a cream which has anti-itch properties. Cold compresses can also help with this. Wet a washcloth or small towel and keep it on the skin to reduce the burning sensation caused by the blister beetle’s secretion. You could also try some ice cubes wrapped in a towel or even a bag of frozen peas. Anything to take the heat out of the burning sensation caused by the blister beetle’s toxic chemicals. Topical steroid cream would definitely be a good idea to apply at this point. Topical steroids are a type of medicine that reduces inflammation in the skin. They are sometimes called corticosteroids. 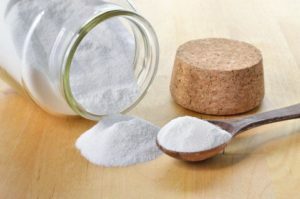 They are completely different to the anabolic steroids that bodybuilders are known to sometimes use, and are widely used for a variety of skin conditions. These creams can be bought over the counter at a pharmacy, and are a great addition to any home first aid kit. A common practice when using topical steroids is to start with the least potent types and move your way up from there if you need to. Although these creams are safe to use, long-term or prolonged use can have side effects, and so it is always good practice to try to minimize the amount of medicine you are using to ensure you don’t use more than is necessary and expose yourself to the risk of unwanted side effects. For example, you could start with hydrocortisone 1%, which is quite a mild concentration of steroids. If that has no effect over a few days, you could try something a little stronger. Make sure you give it a chance to start working before you reach for the stronger stuff, though. Unfortunately, the positive effects of these creams are not instant. These creams and ointments should be applied in small amounts to only the affected area. Squeeze a little dab onto the tip on one finger and gently rub it into the area of blistered skin. This can be repeated once or twice a day for as long as symptoms last. Once the blisters have disappeared and the irritation is reduced, stop using these topical steroids and save them for next time. If used correctly, topical steroids have very few side effects. If you continue use for more than four weeks, however, it is possible that you may start to suffer from these side effects. Topical steroids can cause thinning and lightening of the skin and excess hair growth, along with high blood pressure. Every type of steroid cream will come with a leaflet that will explain the possible side effects of use, and you should read this carefully. In any case, the pain of a blister beetle ‘bite’ should never last longer than four weeks. If it does, consult your doctor, because you may have some other problem that is inhibiting your healing. You could also look for ointments that contain either lidocaine or benzocaine. 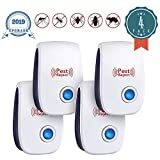 These creams help to reduce the pain associated with the blister beetle’s chemical ‘bite’. The relief is temporary, but you can always reapply some more as the effects begin to wear off. When using any medication, even ones bought at a drugstore, be sure to read the label and follow correct dosing instructions. The blister beetle’s chemical attack, unlike a regular bite, is not a puncturing wound but is instead a chemical burn. Because of this, it needs to be treated differently to, for instance, a mosquito bite or wasp sting. If you have tried washing the affected area and using topical steroid creams, but you are still feeling the adverse effects of the blister beetle’s ‘bite’, it’s possible that you may be allergic to the hemolymph the bug left on your skin. In this case, the most common treatment is the use of oral antihistamines. When your body is exposed to something that it is allergic to, it produces histamines. Histamines are chemicals that are designed to get rid of the cause of the allergic reaction. However, histamines themselves can cause your body to react in uncomfortable ways. So antihistamines are a type of medicine designed to reduce the number of histamines in your body, reducing the symptoms of overproduction of histamines. Antihistamines usually come in pill form, but can also be administered as liquids, nasal sprays, and gels. An example of a widely available antihistamine is Benadryl. Many antihistamines are available from a pharmacist without a prescription. Just because antihistamines are easy to get does not mean they have no side effects, however. Make sure you use them as directed on the label. Don’t make the mistake of thinking that using more medicine than you are supposed to will heal you better. In fact, it could make the problem worse! In rare cases, it’s possible for the blisters caused by a blister beetle’s ‘bite’ to burst and become infected. This happens especially if the irritated area is not kept clean. If this happens, it may be necessary to follow a course of antibiotics to clear up the infection. This will need to be prescribed by a doctor or other health professional. To prevent infection as the blisters heal, it may be a good idea to keep them covered with a clean gauze bandage. Make sure to change this bandage regularly, and reapply topical creams when doing so to relieve pain and aid the healing process. Modern medicine is a marvel, and we are lucky to have it when we need it. But not everyone is willing to take drugs that can have unwanted side effects. And some people don’t feel the need to use expensive medications on relatively mild injuries such as a blister beetle ‘bite’. Others prefer to use natural remedies wherever possible. Luckily, there are some more natural remedies you can use to ease the symptoms of a blister beetle’s irritating chemicals. After all, the blister beetle’s defense comes from nature. It seems only right that there should be a remedy in nature. Because the blister beetle’s poison causes a burning sensation, aloe vera can be a helpful natural remedy. You can buy it in gel form at a grocery store, or you can even grow it yourself. This hardy plant requires very little care to thrive, and it couldn’t be simpler to use. Simply cutting off a leaf as needed will supply you with a natural gel that you can apply straight to the wound and gain some relief from the burning sensation. Honey can also be a surprising solution. It has been known for years that honey has antiseptic and antibacterial properties that can help speed up the healing of wounds. It is strongly advised that you don’t put honey on your skin outside, though. 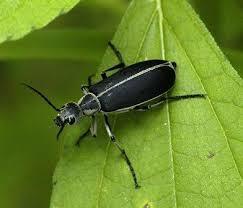 In the height of summer, which is when blister beetles are most active, this will only attract other bugs to you. Oatmeal baths can help soothe the symptoms of a blister beetle ‘bite’. The oatmeal soothes the skin and provides some relief from the burning sensation. You don’t have to take an entire bath, either. If the blistering is localized to one area of your body, you can simply make a paste by adding water to oatmeal and apply it directly to the blistered area. Wash the oatmeal off with warm water after it has been on your skin for 15 minutes. Garlic is also known for its healing properties. However, raw garlic can actually irritate the skin further, so don’t rub a raw garlic bulb on your blisters. Mince the garlic and dilute it with coconut oil, then apply it as a homemade balm. The coconut oil will moisturize the skin and help reduce the burning and irritation, providing some relief from the pain of the blister beetle ‘bite’. It’s extremely rare for blister beetle cantharidin to cause injuries that require medical attention. Generally, these incidents are more of a nuisance than anything else. 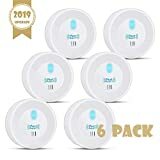 There are a lot of different treatments available to you if you live in an area where you may come into contact with these beetles, and it might be a good idea to keep your medicine cabinet stocked with some of these treatments just in case you or your family ever find yourself in need of them.